The Kubota F Series challenges the status quo, setting a new standard for professional, ride on mowers. Powered by Kubota’s diesel engines, renowned worldwide for their exceptional reliability, the Kubota F series features hydrostatic transmission for quicker response, increased work speed and more muscle to tackle the toughest mowing conditions. Offering excellent maneuverability, the Kubota F Series is ideal in confined areas and tight corners where other competitor mowers can’t go. 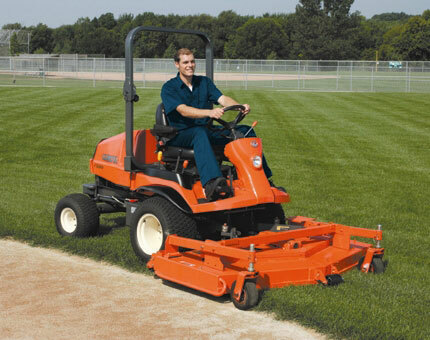 If you’re seeking a versatile, powerful and efficient commercial mower, then the Kubota F Series is for you. The 2WD F2890 offers professional performance with a powerful and economic 27.4 HP Kubota diesel engine, power steering, hydraulic mower lift, HST transmission for inceased productivity and reliability. 4 wheel drive with Auto Assist letting you turn with greater efficiency causing less damage to the turf. Tilt adjustable steering wheel for greater comfort. High / low lever to adjust the drive transfer speed to better match the terrain. PTO shaft drive from engine to deck. 5.5" deep fabricated stell deck, offering sturdy construction and a more efficient cutting performance. Mower deck lifts 90 degress allowing greater access for cleaning and maintenance. Deluxe high back seat with arm rests, lumbar support. Air seat kit also available. Optional 54" & 60" side discharge or 60" rear dischrge deck. Cutting height ranging from 25mm / 1" to 129mm / 5". Dial height adjustment with 64mm or 1/4" steps. 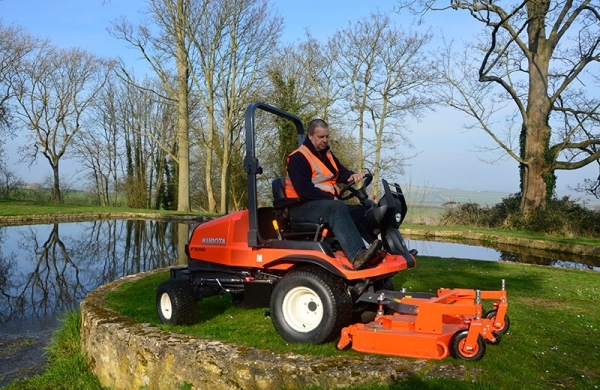 Designed to deal with UK grass growing conditions, few mowers are better suited to face the high demands placed upon groundsmen, greenkeepers and landscape contractors by our unpredictable climate. With auto assist 4WD as standard and an impressive 30.6 HP engine, the F3090 benefits from power steering, hydraulic mower lift, HST shaft driven mower and transmission. Optional 60" & 72" side discharge or 60" & 72" rear dischrge deck. Built for the heaviest of workloads and even the most demanding of jobs are made effortless with the F3890. With all the benefits of the F3090 but with a 37.3 HP engine – the F3890 is the most powerful outfront mower in the Kubota range. 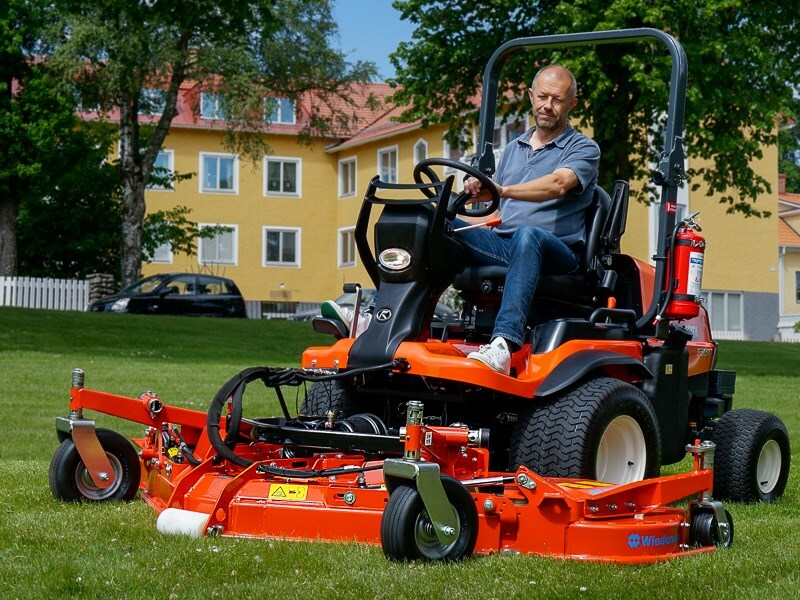 The F3890 is ideal for mowing large areas quick and with auto assist 4WD as standard the F3890 can easily handle the more demanding work areas. 5.5" deep fabricated steel deck, offering sturdy construction and a more efficient cutting performance. Mower deck lifts 90 degrees allowing greater access for cleaning and maintenance. Deluxe high back seat with arm rests & lumbar support. Air seat kit also available. Optional 60" & 72" side discharge or 60" & 72" rear discharge deck. These machines are a firm favourite of ours. Excellent build quality, superb results & competitive pricing keep these machines at the forefront of the sector. Have a question ? Email - info@celticm.co.uk or call 01792 641 517.